Whether you’re eating your vegetables or not will determine how great your weight loss goes. 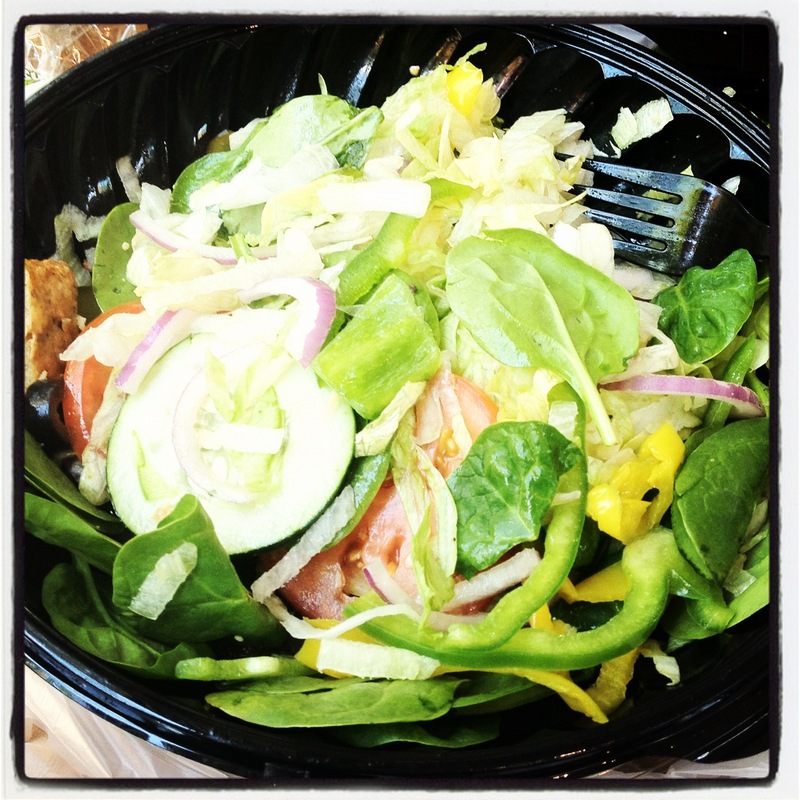 Myplate.gov recommends that the average adults eat at least 3 cups of vegetables a day. Vegetables have many benefits alot in which helps speed the metabolism, increase muscle toning, bone density, and steady blood flow. I usually try to eat veggies for each meal. I can tell it has helped with the weight loss, workout recovery, and overall endurance. Make a commitment today to incorporate more veggies with a normal cardiovascular routine 45-60 min a day and watch yourself maximize your weight loss results. Summer is right around the corner and will be here before you know it. I want to provide you with 10 efficient ways that you can work on burning the the fat and shed the pounds before summer. Good luck to you all and I will also be focusing on the steps along with you. Keep us posted on your progress and leave comments. 1. Drink at least half your body weight in ounces for your water intake a day. 2.Cut the excess sugar (sodas, fruit juices, sugar in coffee, candy, chocolate, etc). 4. Complete at least 45 minutes of cardio exercise 4 days a week. 5.Calisthenics (Push ups, crunches, pull ups, squats, jump rope) at least 3 days a week. 10. SLEEP…..6-8 hours a day. Too much sleep may also cause weight gain. When you lose weight quickly, many times you’re losing water weight versus fat. 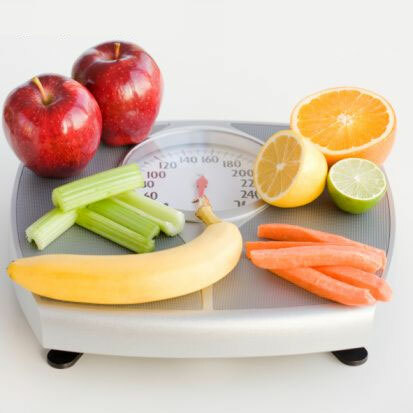 Therefore, once you lose the weight by this method, you may gain it back again. If you want to keep the weight off, you have to plan on waiting it out until you reach your goal. So, you must alter your behavior and change your lifestyle in order for this to work. You can’t expect to maintain your weight once you lose it if you don’t effect a change in the way you eat or how you exercise during the day. A permanent weight loss solution then can only be realized by changing the types of foods you eat and the kinds of exercise you partake in on a daily basis. If your pantry and refrigerator are currently stocked with such items as white bread, sugary foods, caloric beverages, chips, fried food, red meat and processed meats like bologna, then you’re going to have to make some changes in the way you eat. Some of the best weight loss foods you can eat are asparagus, broccoli, cabbage, cauliflower, spinach, kidney beans, lentils, carrots, collards, kale, lambs quarter, chicken, fish, grapefruit, apricots, apples, tangerines, lemons, lettuce, mustard greens, okra, peppers, radishes, tomatoes, turnip greens, oat bran, rice bran and rye. Most vegetables you eat can stand up to the test of time and will assist you in losing weight. The same holds true for fruits if you eat them in moderation. When it comes to grains, oat bran, rice bran and rye are all three grains that will take weight off and keep it off too. If you maintain a healthy pattern of eating and keep your portion size in control, you won’t have to count calories and will be able to lose weight and keep it off . So, stick with controlled picks such as fruits, vegetables, oats and brown rice, bran, rye, wheat, and legumes (especially lentils and kidney beans). The fiber content of most of these foods keeps one feeling full while providing a minimum amount of calories. Since you’re reducing your calories by eliminating junk foods, red and processed meats, sugary snacks and fried foods, you’ll feel more energized as you’ll be exchanging these foods with foods that cleanse the system and significantly reduce your overall daily caloric intake. Combine this reduction in your calorie consumption with an increased amount of exercise and you’ll be putting the wheels in motion so you can stay thin for life. Plus you don’t have to go through a strenuous exercise routine for you to gain any measurable benefits. Research has shown that exercising a couple times a day at 30-minute intervals can be just as effective as one long exercise session. If you make it a practice to walk at least 30 minutes per day, this is usually adequate enough for you to lose weight and keep it off permanently. If you want to lose a pound then, you have to burn 3500 calories or one pound of body weight. Therefore, reducing your calories and increasing your activity is the best way to lose weight. Aerobic activity is good for burning calories as well as reducing your cholesterol, increasing your lung power, improving the condition of your skin and strengthening your heart and cardiovascular system. Nonetheless, if you incorporate weight or resistance training in your exercise routine, you will speed up your metabolism and continue to burn calories throughout the day. Therefore, it’s good to combine aerobic and anaerobic exercises in your dietary and fitness plan for optimum weight loss. Calculate your BMR (basal metabolic rate). Your BMRis what your body needs to maintain normal functions like breathing and digestion. This is the minimum number of calories you need to eat each day. Keep in mind that no calculator will be 100% accurate, so you may need to adjust these numbers as you go along. Calculate your activity level. Use a calorie calculatorto figure out how many calories you burn while sitting, standing, exercising, lifting weights, etc. throughout the day. It helps to keep a daily activity journal or you could even wear a heart rate monitor that calculates calories burned. Keep track of how many calories you eat. You can use a site like Calorie Count or use a food journal to write down what you eat and drink each day. Be as accurate as possible, measuring when you need to or looking up nutritional information for restaurants, if you eat out. Add it up. Take your BMR number, add your activity calories and then subtract your food calories from that total. If you’re eating more than you’re burning, (your BMR + activity is 2000 and you’re eating 2400 calories) you’ll gain weight. If you’re burning more than you eat, you’ll lose weight. Mary’s BMR is 1400 calories and she burns 900 calories in daily activity with regular exercise, walking around and doing household chores. To maintain her weight, she should be eating 2300 calories but, after keeping a food journal, Mary finds that she’s eating 2550 calories every day. By eating 250 more calories than her body needs, Mary will gain one pound every 2 weeks. Although this may seem like alot but it is actually very simple. Foods that are low in calories, sugars, and sodium are idea for daily food intake. Foods such as fruits, green vegetables, lean proteins, whole grains ,nuts and seeds tends to put your metabolism into full blast. When we remove extra sugar from our food intake our blood sugar levels stay normal and allows the liver to conduct its primary job (burning fat). When loosing weight it is also important to watch out for the sodium intake. A surplus in sodium stores in our body as water weight. The average amount of sodium that we should intake daily is no more the 1500mg. Foods that are high in sodium are sodas, fried foods, added salt, and frozen dinners. Be sure to check the nutrition labels for sodium amounts when grocery shopping, you may be surprised how fast the sodium amount rises quick throughout the day. A major way of removing the access fat cells is cutting back on the complex carbohydrates. White breads, white rice, pasta, and flavored cereals. (Remember if its white, its not right). Instead it is ok to result to whole wheat products instead; wheat bread, whole wheat pasta, brown rice,and whole grain cereals. When we intake complex carbohydrates it is then digested into our bodies as sugar and then the excess is stored into fat cells. Engaging in physical activity at least 30 minutes a day allows the body to burns the fat cells away. Exercising also promotes perspiration which helps to unclog our skin pours for healthier skin, opens our blood vessels for increase blood flow, and helps to unclog blocked arteries which can lead to health issues. A friend of mine was so concerned that she was not eating as healthy as she could be; so she invited me into her kitchen to examine some of the foods she had stored in her pantry and refrigerator. During my analysis I threw out the whole milk, white bread, butter, sodas, the container of sugar, cookies, candy, potato chips and frozen dinners. She was somewhat upset that these foods were being thrown away due to the money she had spent on them but it was time for her to realize those foods were affecting her health tremendously. We then took a trip to the local grocery and replaced the foods with more healthier selections such as fat free milk, wheat thin crackers, water, diet soda, wheat bread and so on. This was a major change for her but she knew that it would be better for her health which was most important. A week later she called me and told me that she was down 4 pounds!! All she did was changed the way she was eating, going from a unhealthy eating situation to a more nutritional way of eating. Just as my friend dropped 4 pounds in only one week by changing her food selection you too can do the same. Get motivated today to throw out the junk the same way I did for my friend. If you feel that wasting money isn’t necessary, offer the foods to a family member or a friend. It is time to take control of your weight and most importantly your HEALTH. Please comment if you would like a list of foods to purchase to start and make your lifestyle change. There will be more post to come in the future; so be sure to “Subscribe” to stay updated. I have a hard time finding the right shoes to support my workouts and find that my endurance is cut short because of my aching feet. How do I select the proper shoes? Great question, the best thing to do in this situation is to find a good shoe store who can evaluate your aches and select the best shoe for you. I can tell you that “fit2run” shoe store located in the international mall measures your feet, determine exactly where your pain is coming from in your legs by making you perform various workouts at the store. And then they recommend the best shoe for you. If not you can always play it safe by selecting a running shoe that has alot of cushioning. Ascics, and New Balance shoes are good for cushioning. There are many different sub brands by Ascics and New Balance but just ask the sales rep the key differences and find out what works best for you. I hope that you find this information helpful and let me know if I can help furthermore!! Thanks alot, im glad that you enjoyed reading the post. What are you fitness and nutritional goals? 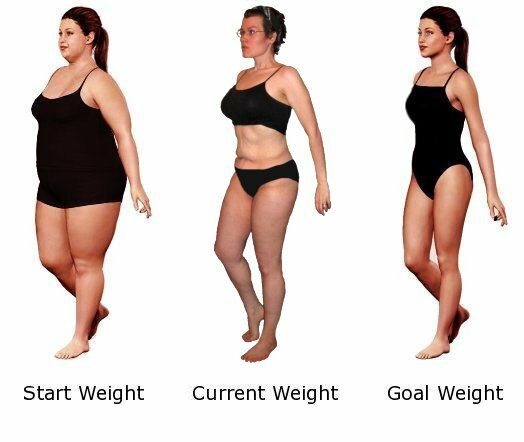 Great blog post this will definitely help me gain weight loss. This topic is a at the end of the day good article. Lossing majority is benificial since your well-being and happiness. This is good stuff. I love the recommendations you have for losing weight and making permanent Lifestyle changes. I have a few clients that request ‘Healthy Choice’ grocery shopping services but not too many. My blog does not pertain exclusively to health, so I don’t write extensively on the topic. However, sometime in the near future, I intend to incorporate more health related services to my business as a means to promote healthier living. I’ll be subscribing to your blog as a resource. Kudos, for an informative and interesting read. Hey there, I’m glad that you enjoyed reading the blog. I try my very best to incorporate real life situations and personal situations as it relates to health. I’m glad that I can be of a resource to you, feel free to reach out at anytime if you have specific concerns. Have a good day and happy holidays. Wow!!! This is a great blog. You have a lot of good information here and I’m excited to take advantage of some of them in conjunction with my own health and fitness routine. Keep up these great posts!!! Thank you very much, I’m glad you find the info useful! Great, simple ideas. I love that you focused on losing weight for life and on reducing stress. I’ll be checking back for motivation frequently. Right on! Isn’t it great to no longer be a slave to food??? (or any other substance, for that matter)? It sure is. Eat to live, not live to eat. I love the 10 things!!!! This is a great post! I am tweeting! I’m on my way to losing weight using raw foods and water as tools. Wish me luck! You can do it Kathy! Just stay focused and resist temptations. Make your veggies fun and change up the way you eat them so that you dont get bored. Keep me posted! I enjoy eating fruits, but many have high amounts of sugars in them. I am trying to make sure my sugar amounts are low, but don’t necessarily want to cut out all fruits since they do also have health benefits. What do you suggest? That sounds great. I appreciate your quick response! I look forward to keeping up with your tips. I think its important to like yourself before you try to attempt weight loss. I have found after many years of trying to keep the weight off that is the key to keeping it off. Getting it off, while difficult, is not as important as keeping it off. Great feedback Linda! Thank you for that. I agree with you 100% it has to first start from within. 😉 Have a great day. Great post, L-Jay. Thanks for being a part of the solution. Your articles are very informative, and your positive tone really strengthens the message. Keep up the great work. I know the shock of throwing away all those bad foods, and the first thing you think is “what a waste of money!” Great advice on eating fruits & veggies! Thank you for the feedback! I am glad that you like the blog! I try to keep it up so that everyone can navigate and read the post easily. YES! VEGGIES! VEGGIES! VEGGIES! they keep you lean and given your body all the good nutrients for optimal muscle brain and bowel functions—especially the leafy greens! That’s awesome Manal, you seem to be on the right track so far. Some advice that I can give that will help you more would be just to make sure your water intake is high and you are exercising 5-6 times a week for at least 45 min. Also, cut out Amy processed food that may still be in your diet, look at it as anything that is packaged or is in a box you should try to avoid. I usually stick with whole foods, veggies, fruits, nuts, lean meats, and some whole grains. Try to avoid eating complex carbohydrates after 5 or 6 pm. All the best to you Manal. Please keep me posted on your results! Veggies are always tough for me to get into my meals 3 times a day, but I see that I just need to try harder! They have so many good side effects to ignore. Thanks for sharing! Just enjoyed a brisk walk on a cold, clear morning! Now for a high protein breakfast! I have a blog entry about an ap I have found very beneficial – Tactio Health. You can track your weight and waist size and it calculates an entire range of other scores, and color codes them. You can also track blood pressure, resting heart rate, LDL/HDL, blood glucose, and more. It has really helped me. The other ap/website I love is mammy fitness.com. Enter almost any food and their database has it. Once you see the amount of sodium or calories in some of the food you eat, you change how you eat. I switched from sausage to low-sodium bacon when I saw the sodium content. I’m now eating Chobani yogurt, and can’t believe it, but I feel I’m now in control of my calorie intake. I still eat a dark chocolate Klondike bar every night, but it’s entered in the morning so I already know what my net calories can be. I’ve lost 34 pounds in 3.5 months, by exercising a every day and changing how I eat. Thanks for the app rec David! I just downloaded it on my Iphone. I will try it out. Congrats on your weight loss and cutting the sodium will definitely help with that! Its ok to cheat when you deserved it lol. Thats my philosophy. Great information – you look very close to reaching your fitness goals! No way! Not at all. Thanks alot for the motivation. I need every ounce of it haha. All the best to you as well Jany! Well thats a good obsession I must say. I think its great that you look out for your pets and their nutrition. I think that many people sometimes forget about the nutrition for the pets. Thank you for stopping by my blog. You also offer terrific information! Thanks! 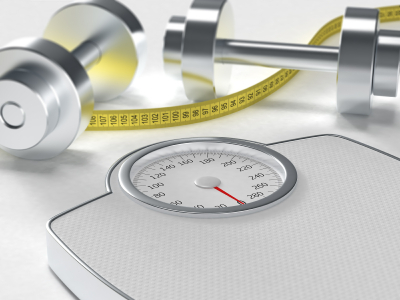 Your blog is definitely a one stop place for the information regarding weight loss. I really liked your posts. Drinking a glass of water instead of an afternoon coke is a very good point. I will surely start implementing your points. Thanks for the information. thank you for the imformatiom i have read i will follow ur advice of lossing weight. Awesome! Let me know if I can help an any way! perform bodybuilders burn all the fat off initial and then start doing muscle gaining workouts? Greetings from California! I’m bored at work so I decided to browse your site on my iphone during lunch break. I really like the knowledge you provide here and can’t wait to take a look when I get home. Awesome! I’m glad you liked it. Let me know if I can help with the techniques. Thanks for sharing this…will be helpful to many…..! Great info page, really good for someone like me just starting out! Amazing points completely, you may gained a new brand brand new audience. What would people would suggest with regards to this post you manufactured some days previously? Any certain?